Elizabeth McCourt is a non-linear thinker, practical-minded creative and conforming non-conformist. Cultural diversity and a passion for making better more authentic leaders is the core of her work as a coach, speaker and writer. 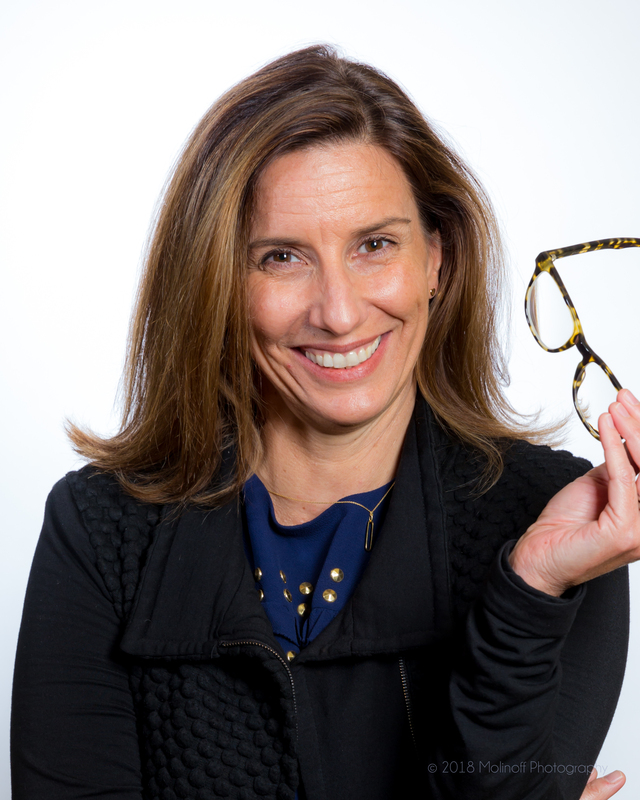 A broad thinker with a growth mindset, Elizabeth McCourt is a well- known leadership coach, speaker and published writer, committed to helping clients embrace their whole self and get real with who they are, so they can parlay that into leadership and business success. Elizabeth’s background includes 18 years in executive recruiting and prior she was a successful trial lawyer who worked on the plaintiff’s side for product liability and class actions in both federal and state court. Her career started in finance at Morgan Stanley in the mergers & acquisitions department. Organizational clients have included Wells Fargo, UBS, Ameriprise, Stifel Nicholas, MC2, Betterment, and Silicon Valley start-ups like Square. She is a member of France’s global business school INSEAD’s coaching faculty, has worked with The Kets De Vries Institute (KDVI) in London, UK and is a regular contributor to Coaching Colloquia at ESMT Business School in Berlin, Germany as well as Harvard’s Institute of Coaching. Known for her TEDx talk “Why You Should Spill Your Secrets”, Elizabeth is a sought after speaker and workshop facilitator on resilience, mindset and the non-linear path to success. Elizabeth has been invited to speak at a variety of conferences including The Most Powerful Women’s LEAD Banking, Women’s Financial Advisor Forum, The Quorum Initiative Leadership Conference, NonprofitPRO conference, and the US Army Recruiting Battalion. In addition to a BS in Finance from the University of Maryland and a MFA from SUNY Stony Brook, she has a JD from Loyola University. Certified as a Professional Coach through the Coaches Training Institute and the International Coaching Federation as well as trained by the Academy of Executive Coaching of London for Systemic Team Coaching and is also a trained Hogan Facilitator. In her spare time, Elizabeth is a triathlete and writer. Her first novel, Sin in the Big Easy, was recently published with Post Hill Press. Her next writing project is a non-fiction book about embracing the non-linear path to success. Mike Domitrz: Welcome to the Respect Podcast, I’m your host Mike Domitrz, from MikeSpeaks.com, where we help organizations of all sizes, educational institutions, and the US Military create a culture of respect. Respect is exactly what we discuss in this show. So let’s get started. Welcome to this week’s guest Elizabeth McCourt is a non-linear thinker, practical minded, creative, and conforming non-conformist. Culture diversity and a passion for making better, more authentic leaders is the core of her work as a coach, speaker and writer. Elizabeth, thank you so much for joining us. Elizabeth: Thank you so much for having me. It’s a pleasure to be on the show. Mike Domitrz: We’re excited to have you on it. You love to discuss what we’re just discussing, conforming non-conformist, culture diversity, how does understanding and respecting other cultures impact your work? Elizabeth: It’s something I work with all the time. I actually really enjoy diverse environments, generational, different generations. A lot of my work is global, so working with a university based in France, I’m also often working with global leaders, and need to have an understanding of cultural diversity, because not everyone processes things the same way. So to be really aware of that is essential for my work. Elizabeth: I mean, I believe it’s important for everyone, I think, in this dynamic work environment, we have the digital age, we don’t have to go to an office and necessarily work in the same place. We’re working across the country in the United States, and sometimes with companies that are across the world. I think the workforce has gotten more diverse in both age, male/female, cultural diversity, and so I think it’s something that really need to be top of mind in all of our interactions. So it’s not just doing global work, it’s really anytime you’re working with people certainly understanding how they like to work and how they receive feedback and whatnot is essentially important. Mike Domitrz: Yeah. I think it’s even in our own communities. If I’m open to understanding other cultures, there’s a good chance I’m more likely open to different thoughts and different thoughts as far as ways of thinking. So if my neighbor thinks very different than me, but I have a mindset of trying to understand other cultures, I’m probably more likely to have a mindset of I want to understand why you think differently versus just thinking you’re wrong. Is that true or do they not roll into each other that way? Elizabeth: I think you’re right. I think it’s really a matter of being open minded, that your way of doing things may be a great way to do it, but can you learn from other people? I think this is also my personal interest is how do we also learn from other people? I think in essence, that makes us do what we do better if we’re open to that concept. Mike Domitrz: That’s all about feedback, which you brought up a moment ago. So in the workplace, how does respect play a role, specifically in both requesting feedback and receiving feedback, and we know sometimes unsolicited feedback? So I gave you a multi prong question there. You [inaudible 00:03:28] whichever one you want first. Elizabeth: That’s all right. I think feedback, if we want to get better, we need to be able to open to receive feedback, I think both direct feedback and I don’t know if it’s indirect feedback, but I think we process feedback differently. [inaudible 00:03:47] say there’s the American version of feedback is like a positive sandwich, the positive and then the constructive, and then another positive. But you might get a boss or someone you work with who just gives you super direct feedback without that positive sandwich, and you have to be able to understand where that’s coming from and that’s receiving feedback. Elizabeth: Then I think in the same way, it’s really important to understand who you’re talking to, whether is in the context of a speech, whether it’s in the context of being a leader in an organization. Is can you give the feedback in a way that it can be heard by people? Because if you’re just barking feedback, people might not hear it, and therefore you’re not being as effective as you might be. So feedback and how people receive it and perceive it, both things are important. Mike Domitrz: Is that really critical to what relationship you have in that moment? So for me, with an audience, it could be a relationship probably with the audience, whether I can give that really direct feedback, because there are times in my life where I gave that direct feedback, and it was not received as well, because I had not established the relationship to that point to be heard or the way I said it, like you said, is key. Do you think relationships when they’re healthy and strong allow you to stop the positive sandwich? In other words, stop always having to go positive, feedback, positive, when you have really healthy wonderful relationship, can you cut right through that and get to the direct feedback? Elizabeth: I absolutely think so. I think it’s about developing, like you said, relationship and developing trust. Because if you’re someone that is known to have integrity and trust, and you’re dealing with people, and you built those relationships, they know that … I mean, there’s a balance of course to giving too soft feedback that there’s just too much emotional intelligence tied to it, that is not effective. Then that harsh feedback. So can you find, I think that’s in the book Radical Candor, can you find somewhere in the middle where’s that balance of I’m giving you this direct feedback, because I actually really care about it, I think that’s really where it has to come from. It’s not just taking someone’s legs out of harsh feedback. Mike Domitrz: Yeah. Then I care deeply about you in this moment. I think that’s so important. Now, it’s still important how we say it. I mean, if we’re just rude, that being [crosstalk 00:06:11]. I was often very direct with people and people say, “Oh, Mike is really blunt.” But there’s a difference in being blunt caring, and just blunt saying it with no care. So people would say to me, “I knew you care, so I was okay with it,” but I would later learn in life that there were people who didn’t take it that way and it could come off as arrogant, self-righteous, and you have to recognize, “I could’ve been just as blunt in a more caring fashion.” Just by simple change of language. Elizabeth: Oh, absolutely. I think the language that you use in feedback can be really important. Also, asking some questions around it. You’re giving feedback, and then maybe asking a question to have them perhaps A, repeat it back that they understood it, or B maybe a question to a context of understanding where it’s coming from. I think, like you said, because they knew who you were, and they knew how much you cared, and so it didn’t feel like just abrupt feedback. It was just coming, maybe you were busy, but you just wanted to give them one, two, three, it sounds to me that that’s something that happened. So they knew it wasn’t just you barking orders, barking feedback at people without any understanding or care. Mike Domitrz: Imagine a company having a board of directors that sees everything, you hold nothing back, and they can give you feedback on your business. But you’re doing this in a day with people you’ve never met before maybe, or you’ve met them briefly, and you’re being vulnerable to helping each other’s business grow. That’s the setting that I was in. The key for it to work was to set the ground rules. Mike Domitrz: Just as an example, it presents it completely differently, what I noticed was when we felt safe in that room, we were so blunt and so fast, but always caring. It allowed us to be super efficient in helping each other. Elizabeth: I think that’s the key, isn’t, that you sort of set the ground rules of trust, and openness, and the ability to be direct, and the ability to be efficient with your words. So it sounds like you didn’t just jump in there and start with a super direct feedback, you had some context to what you were trying to accomplish for the day, so that it could really be productive and effective. My guess is that if someone felt like the feedback wasn’t quite working, or it was a little too direct, that there was permission there to say, “Hey, that felt like this, did you mean that?” So that you could be constructive about it. Mike Domitrz: Yeah. That’s great you point that out. Because we actually gave examples, the facilitator and others in the group gave examples of healthy examples, not healthy examples. So example, let’s say that I had 23 minutes in my given time for everybody to give me feedback, that included the time I was going to talk in there. So they actually said, “Hey, when we give you feedback, try not to feedback us on our feedback. Just to listen. You’re going to want to pushback, and go, ‘I’ve tried this, I’ve tried that, but, but, but.’ No, unless you’re saying, ‘Okay, I once did that, how could I overcome this?’ That’s different than I tried that but, this doesn’t work.” So listening and be … [inaudible 00:10:28] gave us an exact example like that. Mike Domitrz: “Oh don’t do that.” Because when it came to time, there were a couple times you want to do that, you’re like, “Nope, agreement was I wouldn’t do that.” So, just listen. By listening where the feedback went took me in some directions that would’ve been shut down had I just cut it off right there. So that’s what I love about feedback, it’s about both how we receive it, how we’re giving it. Now in the giving that they said, “Hey, if somebody in the room is talking to, and not getting to the point, we’re going to say, ‘Hey, land the plane. '” We’re giving each other permission to just say land the plane, because we have limited time. Yeah. What are you talking about? Mike Domitrz: By us saying that early on, if somebody did it later, it wasn’t offensive. It was like, “Okay, I’m doing it. You’re telling me that because I’m making a mistake.” So yeah, setting the parameters is so important to feedback. In a place, I love that you point out, it’s all of our growth can happen because of feedback, it’s just when we’re willing to listen. Elizabeth: Exactly. And you said this a couple of times, and I couldn’t agree more. Sometimes it’s really important to just listen and absorb and not be … sort of fight the urge to be defensive, or have an opinion about it. But just really to absorb and listen. I always say that just because you’re getting a bunch of feedback, doesn’t mean you need to take all of it. We know what we will and won’t do, and we know where we might push ourselves ultimately. That’s part of my work as a coach, is that I don’t tell people what to do, is that you know what to do. But to really decide on where you can push yourself, or maybe there are some ideas that you haven’t tried already. Elizabeth: But to really listen, because it’s absolutely an opportunity, in a mastermind, it is a wonderful opportunity to get perspective that you might never have in a regular office environment or in the real world. Mike Domitrz: Yes. Absolutely. So let’s look at that difference of that workplace versus the mastermind. There are some ways a mastermind is scary but safer because you’re not working with those people every day. Mike Domitrz: Whereas in the workplace that impact of how you impact the people in the room shows up tomorrow when you come back into work, shows up the next day when you come back into work. So what are some things that I can create a safer environment for myself and for everyone. Elizabeth: Absolutely. It’s funny, this is something that I absolutely do in my work, is this group coaching, and a sort of the masterminding facilitation. I think it’s so important to create that environment of confidentiality number one, because if you were to be in that environment, and not know that it was confidential, you would be willing to share less. So I think contracting upfront, again, sort of the rules of engagement, the rules of the game, but one of the most important ones is confidential information will be in the bubble of your mastermind. Because like you said, it’s things that you might not share, and I think in the work environment it’s different. When you’re working with people and you’re getting feedback, that tends to be, it feels like a less confidential one in certain circumstances. So it’s harder, I think. Mike Domitrz: I always tell people, even in a mastermind, I’m a believer of there is no confidential safe space. Because I can’t guarantee you someone is going to walk out of here and not say it. So while I want us to know that we’re going to do our best to be safe, know that if you in any way fear saying something could ever leave the room, you don’t have to say it because we said this is a safe space, because I can’t guarantee you anything. I think one of the mistakes we make in the workplace is we tell people that our workplace is a safe space when we know we can’t guarantee that. Mike Domitrz: Then, somebody is betrayed, and you never get that back. Elizabeth: That’s true. I think you’re right about that. I always say to people too, “If there’s something that you don’t want to share, that’s totally okay.” But you’re right, you have to feel really comfortable and confident. Unfortunately not everyone has integrity and trust you hoping these circumstances that people do, but I think you’re right. If there’s something that’s very delicate, and you feel uncomfortable, I think whenever you share something, and I talked about this in my TEDx, is that trust is the first thing. You have to trust the environment. And perhaps even have processed some of what you’re sharing yourself so it’s not totally raw when you share it. Mike Domitrz: Yeah. And trusting yourself. That if I’m going to say this, not that it makes me look perfect, because that defeats the whole purpose, you want vulnerability, otherwise you can’t really have honest feedback without vulnerability. But am I sharing this in a way that’s true? Because like you said, if it’s raw, you might even say something is not true, you don’t need to say [inaudible 00:15:10] you’re just exaggerating because you’re in an emotional place where exaggeration takes place. So I love that you said, “Hey, make sure I’m in a place where I’m okay with this.” I think that’s so important. Mike Domitrz: Now, you talk about respect when it comes to multi-cultural, multi-generational work environments. How do we work with respect in those capacities? Elizabeth: It’s funny, I did a workshop not too long ago. It was about … it was four millennials in a multi-generational work space. One of the rules of engagement was not to use the word millennial in it. You’re thinking, “How can you do a workshop for millennials without saying the word millennial?” What it boils down to is people are just people. So people are different. We’re the same in a way, but we all have different life experiences and different skillsets. So can we respect and be curious about other people whether they’re young, they’re old, they’re from another culture? If you’re curious, ask the question and be respectful. Mike Domitrz: What do you think are the biggest barriers that people have when they discuss generations? You have the millennials, people will horrifically say, “Millennials are lazy.” And I’ve never found that to be true. I work with millennials a lot. I’ve just not found that to be true. So how do you overcome it? And by the way, I think every generation has been said about at a certain phase of their lives, like in a certain era, we’ve said that about every generation. So what are the stereotypes that people tend to fall in and how can we help them realize like that’s just not factual? Elizabeth: Yeah. I think that’s the number one. I think we’ve heard that all, they’re lazy, they expect everything to come to them. I think it’s really unfair. If someone is working, if they’re a younger person in the workplace. I always there’s reverse mentorship opportunities, there’s something to be learned from someone who’s younger as much as there’s [someone 00:17:11] to be learned from someone older and more experienced. So can you share your experience in some way without having a prejudice against that person coming into the workspace? Because like you said, I think one of the prejudices of they want to know more, or they’re may be more experimental. I think the key is understanding the motivations of the person that you’re working with, what are their goals? What are their desires? Where they want to go? Elizabeth: Then you can direct your conversation and/or your feedback into that direction of goal so that it feels more satisfying to that younger worker perhaps. Mike Domitrz: Elizabeth, you sent me a question before the show that I thought was interesting, it says, “What did you do to feel respected in your work?” So can you, one, explain the question. I obviously want to hear the answer. Elizabeth: You know, it’s funny, I was reading over my own question, and I was pondering that too when I wrote it. Because I think when we sort of honoring your skills and your own experiences as you go into a job. Whatever that may be. Or if you’re an entrepreneur, and you’re crafting your own position, and crafting your business, it’s respecting both your strengths, and your weaknesses, as much as you’re respecting that of others, and how can you … I would say, how can you leverage your own experience to make you who you are, or make you better and more successful in the workspace? Then, also doing the same for others, how can others help you do that? Elizabeth: But really, sort of respecting both your limitations and your goals, and your aspirations, as much as you do that for other people as well. I think that will help you be more successful and more curious and more open to feedback and enable you to sort of embrace the wealth of knowledge and experience that you have. Mike Domitrz: Yeah, it allows me to acknowledge that I’m fallible without shame about it, or guilt about it. Because of course I have weaknesses along with my strength, so be proud of my strengths, own those like, “Yes, this is who I am. And these weaknesses, that’s part of who I am.” So if I’m aware of that, okay, then I can be cautious of falling and letting the weakness lead the way. Or being arrogant, or stubborn and I’m not going to act like I don’t have that weakness. So now I come off as self-righteous and know it all. So having all that, and I can tell you, I certainly had the ability to come off that way at times in my life, that’s for sure. Because I thought I had to look that certain role, and we fall into that trap. Mike Domitrz: But I also love about what you said here, is that if I understand that that coworker who frustrates me has strengths and weaknesses, so they have a weakness that frustrates me, I have weaknesses, they frustrate people, so why am I getting mad at theirs? It makes it much more human. Mike Domitrz: I love it. Imagine if more companies understood that. If we want a world-class operation, everyone in our organization needs to be world-class, which means we have to help you believe you are, because you are. You may just not realize it. So I want to find that in you and draw that out of you as an organization. Speaking of being able to do that, when it comes to leaders, how do you help new leaders understand the importance of respect and treating others with respect? Elizabeth: I really feel like there’s a golden rule that I’m sure you’ve used throughout your life as well that I use is you treat everyone the way you want to be treated. Mike Domitrz: I actually have a tougher standard. I’m not knocking that standard. But because of the like of work I’ve been in for so long, I’ve seen people who don’t believe they deserve to be treated well, so it’s easy to treat others poorly. I’m always careful of treat people the way I want to be treated, because that can be an awful standard. So it makes us raise the bar and go, treat everyone like they deserve dignity and respect, treat everyone like they have strengths and weaknesses and they’re valued as a human being. I’m using your own language, I’m going backwards here in our interview. But pulling that language out and treat them that way. Because you might not be treating yourself with dignity and respect. Elizabeth: I really love that, Mike. I think that’s so important because like you said with the population that you work with, that’s essentially important. I always say, I don’t care what someone’s position is, if you treat people with honor and respect from the lowest job to the highest job, I feel like that helps everyone move forward. Elizabeth: I do think also that sometimes I work with some millennials on occasion that feel like their age is a detriment, and that they won’t be respected because of their age, and so it’s really about owning your confidence and also being humble to, like we had been talking before, understand what you don’t know and be open to learn, so that open mindedness. Sort of that lack of arrogance that you know it all, or you [inaudible 00:22:50] think if you don’t know it all, but having that confidence and respect in what you do know and the ability to ask for help when you need help. Mike Domitrz: You refer to a non-linear mindset in respect and how they go together. First of all, for our listeners, what is non-linear mindset and then how is that a connection to respect? Elizabeth: The non-linear mindset is really about what I talk about is taking the entirety of your experience, and leveraging that for your success. So it doesn’t mean, I think a lot of people think that you should do this, you should go to school, and you should do this, and you should do this, and you’re supposed to do this. I’ve had a path that’s a little more curvy than that, and encourage people that when you take a jag in your career path and maybe do something that brings you in a different direction either good or bad, or success or failure. That don’t think of it as, “I went off the path.” Use that as experience to leverage that into what you’re actually doing. So it’s the combination of experience, that more holistic approach to leadership and success. Elizabeth: I think it’s respecting both … respecting the hiccups, and the failures as much as we respect the successes and the accolades, to know that you may have gone one way, and it didn’t work out so well, but you learned something. So it’s always about learning from these pivots in jag so that ultimately it brings you to where you want to be and respecting that process. Because it’s not always straight and linear. So, respect that you’re still going in the right direction and have confidence in that. Mike Domitrz: I love that, because that’s fluid. That’s about the journey more so than the outcome necessarily. The outcome teaches us, but the journey is flexible. Elizabeth: Absolutely. How could it not be? I mean, I think I always said that what you should do and what you end up doing could be two different things, right? So, embrace that everyone is different and we’re all flawed. But ultimately if we’re using our integrity and going in the right path, it will turn out. Mike Domitrz: What brought you to your journey in this focus point? Elizabeth: Well, a non-linear path for sure. I think I determined that what I love to do is help people embrace this part of their journey, and from me being investment banking to trial lawyer, to headhunter, to coach, really, that’s the trajectory of what brought me to where I was. I always found that one, by respecting other people and other cultures, I could really have deep connection with people to help them get what they want, or achieve their goals, or not be afraid to do things a little bit differently. I think that’s how I crafted my entire career, is to do that in the realm of both coaching people and speaking on stage, and in my writing as well, is I get to do all of that. That theme of embracing your non-linear path in everything that I do. Elizabeth: I’ve always been a woman in male dominated industry throughout my entire career. I realized very early on that I was really going to have to stand in my confidence and hold my own so I wouldn’t get my opinion steamrolled. I think when I realized long ago when I was one of very few women in a very large room of men, and I needed to get my point across, I think that was very much a pinnacle moment for me to realize who I was, what I stood for, and that I had both the intelligence, and what I call the street smarts to do it just as well as anyone else. I always say that if I can do it, then you can do it. That’s very much sort of the resilient mindset that I bring to people that I work with and who I am. I’m very attracted to and inspired by people who are very resilient like myself. Mike Domitrz: How do you, in those moments, where you feel it’s not, you’re being treated that way, what’s your approach or strategy to speaking up? Or to making sure that you say, “Hey, this is not how I’m going to be treated. [inaudible 00:27:46] I’m not going to be disrespected this way.” It doesn’t have to be speaking up, but how do you make sure you stand for respect? Elizabeth: I think there’s a difference between being defensive and stating your point. Come from a place, like you and I were talking before of using your words in a way that don’t come from that defensive place, but come from a more empowered place. And also understand that it can be scary, and that’s actually where the learning is. I’m not saying it’s always easy for me to, but if I’m scared and I do it anyway, the empowerment that I feel afterwards is always worth it. Mike Domitrz: I love that. You have specific books that you really love, you brought up the one already, Candor, can you tell us what you love about that book? Elizabeth: It’s Radical Candor by Kim Scott. What I love about that book is the balance of, in a simple way, the balance of giving very direct feedback and also giving it from a place of caring. Too much of either one is ineffective, but how to find that balance in the middle. I think as leaders, and as people, that’s something we’re always grappling with is where to find that balance of directness and also showing someone you care. The other book, I think, if you’re doing international work, or you’re working with diverse cultures, it’s called The Culture Map by Erin Meyer, a professor at INSEAD. Elizabeth: I think this book is really interesting from a cultural perspective, just understanding how different cultures, including our own culture, being based in the United States, how we process feedback, how we … our cultural norms in business environments, it’s a very insightful book that I think for global business or diverse workspaces is really important. Mike Domitrz: I know the other one you love is Brené Brown, and we’re going to provide the links to all of both Brené Brown’s books, both books you’ve referenced. I want to thank you for sharing the resources also, more important, thank you for sharing your experience and your brilliance. Elizabeth: Thank you so much for having me on. I think you’re doing great things for your audience and it’s a privilege to be on your show. Mike Domitrz: That means the world to me. Thank you. And for our listeners, next up is our question of the week. Before I answer this week’s question of the week, I’d love to ask you a question. Would you please subscribe to this podcast, The Respect Podcast with Mike Domitrz? By subscribing, you can make a huge impact. Now, you might be wondering, “Mike, how does my subscribing to your podcast make a huge impact?” Here’s how. For every person that subscribes, it raises the rankings of the show in the search engines. So for people who care about respect like yourself, when they’re doing a search for podcasts, they’re more likely to find this show, thus providing an awesome opportunity for us to spread more respect around this world. All you do is hit subscribe under your podcast. Mike Domitrz: Plus, the second benefit is, by subscribing you automatically get every episode right into your phone, or whatever device you’re listening to the podcast on, it happens automatically. So subscribing also makes your life easier. Now let’s get into this week’s question of the week. By the way, you can always ask your questions of the week by joining us on Facebook in our discussion group, it’s called The Respect Podcast Discussion Group. Go there on Facebook and ask whatever questions you would like me to answer and/or address in this segment of the show. Then listen to each episode to find out when your question is included. Mike Domitrz: This week’s question is, “Mike, what’s the most awestruck location you’ve ever been into traveling to do this work?” For me it’s Egypt. That is Cairo and Luxor. Because we’re sitting there literally at the pyramids, in the pyramids, at the temple of Gods and kings, and the queens, and it’s unbelievable. I was talking about 10,000 years of history and it’s like you’re there from 10,000 years, the paint is exactly, they haven’t renovated it, it’s that blue and the reds you’re seeing in the paintings inside the tombs, or inside the pyramids, is original. It’s just awestruck. Mike Domitrz: I was very fortunate that I got to do this with one of my sons, [Steven 00:32:47], so that made it extra special. For me that’s it, it’s Cairo and Egypt. Do you know what I would love? I would love to hear your answer to this week’s question of the week. Would you please answer what your answer would’ve been if you were asked that question today on the show? All you do is go to our Facebook page, we have a special group where we have these discussions called The Respect Podcast Discussion Group. So The Respect Podcast Discussion Group. And share with us what would your answer have been to this week’s question of the week. Mike Domitrz: And take a moment, post us a new question for future episodes. What question would you like to hear me answer in an upcoming episode? That’s all done on Facebook in our special group, which is The Respect Podcast Discussion Group. I can’t wait to see you there.